R. Ishmael’s Rules Nos. 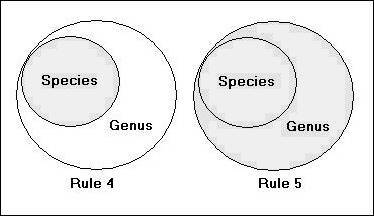 4 and 5, concerning the intended scope of terms, can be represented as follows. In the first case, the intent is narrow; in the second case, the intent is broad.